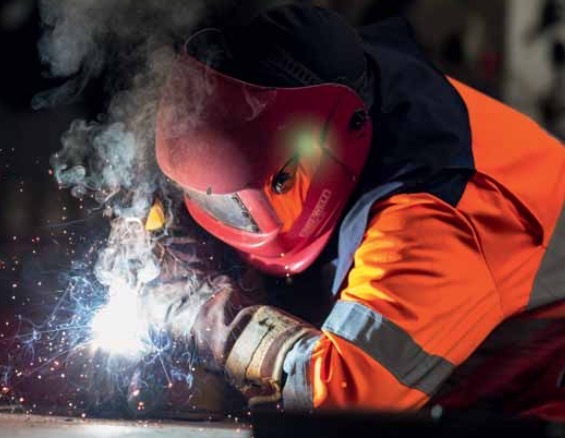 On 1 June this year, British Steel reported a £126 million turnaround in its first year as an independent business, providing a solid foundation for further growth. The company made £47 million profit (EBITDA — earnings before interest, tax, depreciation and amortization) in the 12 months ending 31 March 2017 — its best performance for a decade. second-year focus on increasing steel-making capability and market footprint, and improving product quality. On the first anniversary of its launch, since being acquired by family investment office Greybull Capital LLP, the company has reported a profit of £47 million (EBITDA) for the 12 months ending 31 March 2017. The Long Products Europe business — formerly owned by Tata Steel and purchased on 1 June 2016 — had recorded a £79 million loss in the previous financial year. The company has significantly improved profitability despite a 44% increase in the cost of raw materials. Annual turnover was £1.2 billion. The volume of steel produced was 2.7mt (million tonnes) versus 2.9mt in 2015/16. Sales were 2.5mt versus 2.6mt for the previous year. British Steel’s plan to build a sustainable future is firmly on track after cost-saving initiatives, product development and market growth secured consistent profit in each quarter. This turnaround has enabled the company to deliver planned capital investment, and it today announces plans to invest a further £40 million in 2017/18. British Steel Executive Chairman Roland Junck said: “The transformation in this business is remarkable and that is down to our remarkable people who have embraced, engineered and led change. They are the reason we can today reveal the best financial performance in the long products business since 2007 and they are the reason I have great optimism for the future of British Steel. I’m delighted to be able to confirm that our employees will return to full pay today having sacrificed 3% of their salary to make last year’s sale and the turnaround plan possible. “In 12 months we have started transforming from an inward- looking production hub into a profitable, more agile business by controlling costs, improving our product range and quality, and through strategic investments. After significant capital investment, we have made a small net profit and although it hasn’t been easy an entrepreneurial spirit is starting to flow through British Steel — it means we are fast becoming the efficient, customer-focused business we need to be. “As we look to further grow the business it is important our employees, who have played such a vital role in the successful implementation of the turnaround plan, should share in our future success. I’m therefore delighted to set out the employee share scheme, an almost unique initiative in our industry to recognize their contribution. Special Profiles: launched a local business transformation strategy to strengthen its competitive position through investment, growing sales and reducing costs. The plan includes a committed investment of £1.8 million to improve the surface quality of products, which is scheduled for completion in summer 2017. The business has also broadened its product portfolio and secured a significant supply position for its cutting edge products in the USA with Caterpillar. British Steel CEO Peter Bernscher said:“British Steel has achieved a remarkable turnaround but this is just the beginning. “To guarantee our future as a sustainable business for decades to come we must now seize and capitalize on the opportunities that have been created. “Maximizing and growing our steelmaking capability will be key, but success will also depend upon increasing our footprint in new and current markets and products, continuing to improve on quality and optimizing manufacturing routes, while developing our people, the power of our brand, and the strength of our supply chain. Paul McBean, Scunthorpe Multi-Union Chairman, said: “Exactly one year ago I hailed our employees for making the launch possible. Today I praise them in equal measure for giving us a fantastic platform upon which to build.